L.A. Zoo Photo Day admission prices are $125 per photographer and $60 per guest until October 1, after which the prices are $175.00 per photographer, and $70.00 per guest. Registration closes on October 15. GLAZA members, students with valid photo ID and Paul’s Photo Club members receive $10 discount. Catered lunch and early admission to the Zoo is included for guests. The Zoo remains open to the public with regular Zoo admission available for non-Photo Day participants. The landmark Los Angeles Zoo and Botanical Gardens, drawing 1.6 million visitors each year, is home to a diverse collection of 1,100 animals representing 250 different species, many of which are rare or endangered. Its lush grounds on 113 acres feature a botanical collection comprising over 800 different plant species with approximately 7,000 individual plants. Accredited by the Association of Zoos and Aquariums (AZA), whose members meet rigorous professional standards for animal welfare, the Zoo has achieved renown as an international leader in the preservation of endangered species and a conservation center for the care and study of wildlife. Among its most popular habitats are the LAIR (Living Amphibians, Invertebrates, and Reptiles), Elephants of Asia, Campo Gorilla Reserve and Rainforest of the Americas. 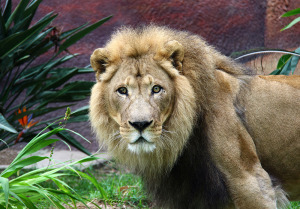 The private, non-profit Greater Los Angeles Zoo Association (GLAZA), which has supported the Zoo in partnership with the City of Los Angeles for more than five decades and provides funding for and operates seven essential Zoo departments, has 65,000 member households representing more than 240,000 adults and children. As evidence of the Zoo’s popularity, GLAZA attracts one of the largest membership bases of any cultural organization in Los Angeles. The Zoo’s location in Griffith Park ideally positions it as a convenient destination enjoyed by locals and vacationers of all ages who can visit every day of the year except Christmas Day. The Los Angeles Zoo is located in Griffith Park at the junction of the Ventura (134) and Golden State (5) freeways. 5333 Zoo Drive, Los Angeles, CA 90027. Free parking and Preferred Parking ($6) are available. For additional information, contact 323 644-4703 or email MThompson@lazoo.org. Registration form is available at www.LAZoo.org. This entry was posted in Home Page, Home Page Slider, News and tagged L.A. Zoo Photo Day, Los Angeles Zoo and Botanical Gardens. Bookmark the permalink.